You can contact an Amazon seller before and after placing an order. Follow the guides below. Go to the Amazon product detail page. Click on the name of the Seller at the top of the product. In this example, we click on Seller Ralph Lauren. At the top right, click Ask a question. 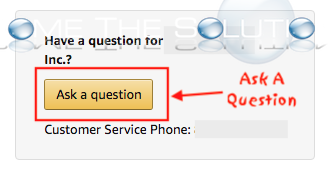 Note: If you do not see ask a question button, there are multiple suppliers of the product you chose. Go back to the product detail page and scroll down until you see new / used links and click it. Finally, choose a Seller. In your Amazon account, go to Your Orders. The only contact option that appears here is Return or replace items which you obviously do not want to do. 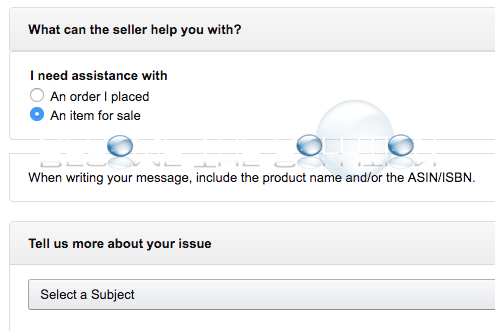 In order to reveal the Ask a question button, click the sold by link pictured below. If the sold by link is from Amazon.com Services, INC or a non clickable link, use this contact form to contact Amazon.com directly.